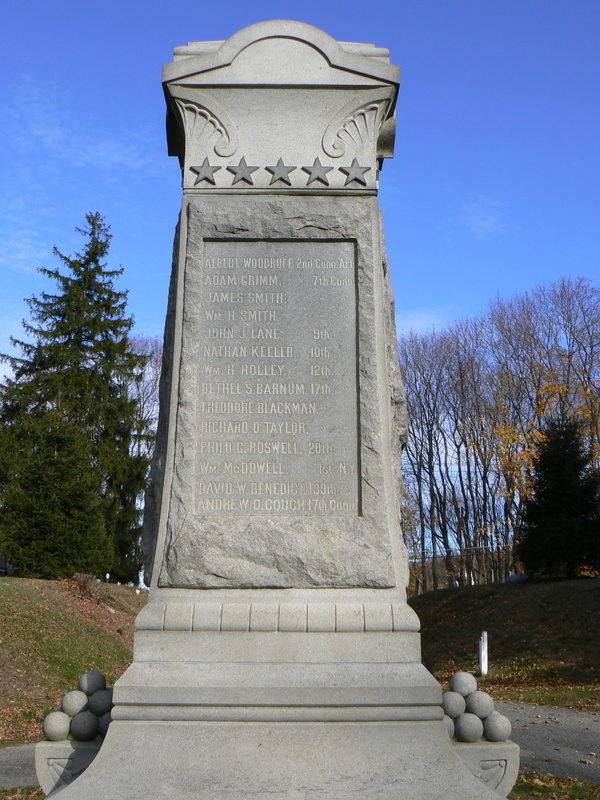 Bethel honors 14 Civil War heroes with a granite monument at the top of a hill in Center Cemetery. The monument’s base features an intricately carved trophy featuring two rifles and crossed swords along with a soldier’s equipment belt, hat, rucksack and bedroll. The monument’s south face lists the names and regimental affiliations of 14 residents who were killed in the war. The sides of the monument are mostly rough rock face, other than two granite cannonball pyramids.